This is my own boat, James. Some boaters will tell you that I’m not a “proper” live aboard boater. I’m moored in a marina with access to an unlimited water supply and mains electricity. 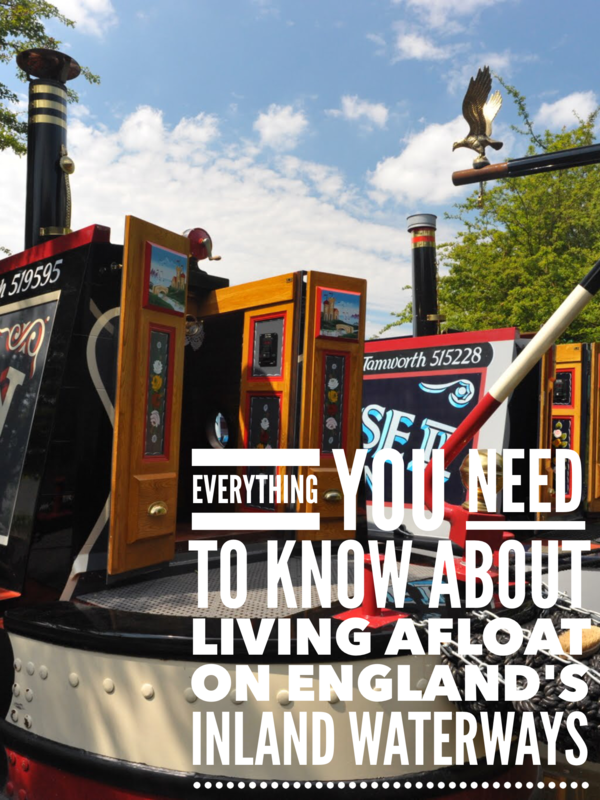 The location and the lifestyle suit me though and may suit you if you’re considering switching to a full time life afloat. I wrote the original answers to the questions in January 2012 when I had been living mostly alone on the boat for just under two years. This morning, 15th March 2015, I reviewed the answers and amended them where neccessary to reflect any changes in the last three years to the boat, my current thoughts about living afloat, or my future plans. Paul Smith and my wonderful partner Sally, plus the two dogs that came with the Sally package; Charlie, a seven year old springer spaniel, and Daisy, a three year old cocker spaniel. Update 15th March 2015: We still have the same gang on board but we’re all just a little older now. Charlie is ten and starting to slow down a little, Daisy is mad as ever at seven, I’m about to celebrate my fifty fifth birthday and Sally, in the manner of all ladies, is defying science by growing younger every day. I was working at Calcutt Boats at a time when my marriage was on the rocks. I needed somewhere to stay and James, which then belonged to marina owner Roger Preen, was moored at the marina but wasn’t being used. I moved on board temporarily, fell in love with the boat and the way of life, bought the boat from them and have lived on board ever since. James. I inherited the name. I have tried to trace its origin but James is thirty five years old and the original owner has sadly passed away. 62′ traditional stern. From the front; well deck with removable table for al fresco summer dining, saloon with solid fuel stove, dining area, galley, “office” (can be converted into three bunk beds), bathroom, bedroom and engine room. All day, every day. I work at the marina where James is moored so I often pop back to the boat at lunchtime for a bite to eat. I love lunchtimes during the summer months when I can sit in the sunshine on the front deck and listen to the wind and the birds. I’m a groundsman at the marina. I love it. There are 110 acres to look after including over 8,000 trees around the two marinas. It’s a wonderful place to work at any time of the year, but in the spring and early summer when I spend all day walking through carpets of wildflowers, it’s magical. Update 15th March 2015: I’ve loved every minute of working at the marina but the problem with working is that it gets in the way of boating. On 1st April 2015 at 5.30pm I will finish working full time at Calcutt Boats in favour of eight months a year of gentle cruising around the canal network. The plan is to return to Calcutt Boats for four months each year to top up the cruising fund ready for the following year. One of the most frequently asked questions directed at narrowboat liveaboards is “Is it cold in winter?” The stock response is a laugh and an assurance that the boat is always snug and warm. Nothing could have been further from the truth during my first winter. James is thirty five years old with cabin sides and roof clad in masonite (oil treated ply). Beneath this was a half inch layer of polystyrene insulation. The boat hadn’t been used much in the previous decade so was cold, damp and looking a little the worse for wear. The heating system on board was a single solid fuel stove with back boiler positioned right at the front of the boat. The combination of one of the coldest winters on record (minus eighteen one night), inefficient heating and poor insulation meant that I was sometimes very cold in the winter months. On numerous occasions I would resort to two fleece tops and a fleece hat inside the boat to try and stay warm. This winter is completely different. The weather has been exceptionally mild and, at the end of last year, I had a new steel cabin fitted over the existing masonite. I had insulation sandwiched between the two layers. The solid fuel stove and back boiler still struggle to heat the rear of the boat but, on the whole, I am now very comfortable with the winter weather. Update 15th March 2015: The boat is very different now than it was three years ago. My fifth winter afloat has just passed without a hint of a problem. Two modifications which have helped significantly are the addition of polycarbonate secondary double glazing panels to reduce heat loss through my old and leaky hopper windows and a ceiling mounted 12v fan. The default narrowboat stove is the Morso Squirrel. The stove has a single top plate which radiates the stove’s heat and allows an Ecofan to push heat towards the back of the boat when it is placed on the stove’s top plate. My own stove has a double skinned top plate so it doesn’t get hot so can’t power an Ecofan. The new 12v fan is very good at pushing the stove heat back down the cabin towards the bedroom. It increases the temperature at the back of the boat by five degrees. Although my boat will never be the warmest in the world because of the poor insulation, it’s no longer uncomfortable at all during the winter months. I absolutely love being on the boat in the summer. In the evening I can’t wait to return to the boat after a hard day’s work, make myself a cup of coffee, grab my Kindle and sit on the front deck for an hour or two and watch nature at its best. I have bench seats on the front deck and a table that can be fitted between them. There’s nothing better than a good meal in the sunshine, a drop or two of red wine and the company of our resident swans. It really is heaven on Earth. Update 15th March 2015: I still adore the summer months but we no longer use the table on the front deck. We use the covered front deck as a very neat and tidy storage area. Removing everything we have stored there so that we can sit at the table is too much like hard work. We now have two folding camp chairs and a folding table which we carry out on to the towpath for al fresco dining. Over the last year we’ve spent far more time out cruising than we did when I wrote the original answer. Rather than sit on the boat on a marina mooring, we would now much rather find an isolated and peaceful canal-side spot and relax. Sally and I have now perfected a cruising routine which suits us both very well. Sally spends much of the time while the boat’s moving on the towpath rather than on the boat. She likes to walk ahead with the dogs while I drift along on the boat in a world of my own. An hour or so before we start to look for a spot to moor for the night, she’ll jump back on board to prepare our late afternoon meal. By the time I’ve parked the boat somewhere with a view and access to the evening sun, she’ll have table and chairs set up, cutlery and crockery laid out, a steaming bowl of food placed on the table for us to dip in to and, most importantly, a bottle of beer or a glass of red wine for me and a soft drink for her. Who could ask for more? I am in the process of changing a number of things. I’ve just had a steel cabin fitted over the existing masonite, fitted a new cratch cover and completed numerous internal cosmetic alterations. I still need to upgrade the electrics so that I can have mains power when I am off the mooring and upgrade from cassette to pump out toilet. In an ideal world I would also stretch the boat to add another eight feet of cabin space so I could fit a washing machine/dryer. Unfortunately, I can’t afford for the work to be done and I can’t afford to further upgrade the electrics to provide power for a washing machine. I guess I’ll just have to rely on laundrettes for the foreseeable future. Update 15th March 2015: There have been a considerable number of improvements made in the last three years. One of the bigger and most expensive changes has been to the boat electrics. Three years ago the boat had a single 110ah starter battery and two 135ah batteries in the leisure bank. Both were lead acid. Since then I’ve replaced the starter battery and doubled the leisure bank to four 135ah batteries. When we were out for a week over New Year the batteries failed. In January this year I replaced all four with longer life maintenance free AGM batteries. I’m hoping that they will last me 7-10 years. To feed the batteries I’ve had the alternator replaced and had a 300w solar array fitted. The solar panels with their MPPT controller supply most of my 12v needs throughout the year. The final piece in the on board power jigsaw was a suitcase generator so that Sally can use the vacuum cleaner and iron and her hair dryer when we are out cruising. We didn’t need to stretch the boat to accommodate a washing machine. We now have a low cost, low power twin tub which fits neatly into the “utility room” area beneath our centre hatches. Sally is very happy with it. Too happy actually. Running the machine for a full day isn’t uncommon. The noise drives me mad. The noise of the washing machine drives me mad because I have to sit next to it while I work. The twin tub is five feet from my laptop. Can you imagine moving your PC that close to your washing machine at home and then trying to concentrate on something, especially if you’re male, and especially if, like me, the slightest noise ruins your concentration? Sally also has the habit of talking to my while I’m typing. I stop to answer her, then spend five minutes trying to regain my train of thought before I can continue. It’s normally at that point when Sally talks to me again. I suppose I should tell her not to talk to me when I’m working, but I would like to live longer than my current fifty five years so I don’t. As far as I’m concerned, the boat is now just about perfect. The engine is a joy. It’s quiet and reliable purr continues all day long, never missing a beat. Now that I’ve had the engine boxed in and thoroughly soundproofed, noisy cruising is a thing of the past. The internal layout is just right. We have more storage space than we can shake a stick at so there is no unsightly clutter. The old beige carpet has been replaced with oak effect laminate flooring which is super easy to maintain with two wet pawed dogs on board. I suppose the only thing I would change on board is the location of my office within the boat. We live on a narrowboat. We live in a forty eight feet long hallway just six feet wide. There are two of us on board plus two high energy spaniels. I need to spend hours at a time concentrating on typing. It’s not easy when two dogs are pacing up and down the boat with their claws clickity clicking on the vinyl flooring, the washing machine or vacuum cleaner roaring away or Sally pointing out every five minutes that something else on the boat needs repairing or replacing. In an ideal world I would have a boatman’s cabin adapted to work as an office for me. The cabin, separated from the rest of the boat by the engine room, would be my private space, my garden shed. It’s not something we can make happen on the boat so I’m just going to have to live with the situation. I think my work regime will be easier to manage when I finish work at Calcutt Boats, but time will tell. This doesn’t really apply to me as I’m not a “proper” liveaboard boater. I have a car parked next to the boat at the marina so shopping is no problem. Update 15th March 2015: We’ve done enough cruising now to establish an away from base grocery resupply regime. Little and often is the key. There are some wonderful farm shops along the canals and enough supermarkets with an easy walk for major shopping trips. We have a couple of my old hiking rucksacks on board; one 70 litre monster for me to carry and a smaller one for Sally. Between us we can easily carry a week’s supply of groceries. We also keep a substantial stock of dried and tinned food on board. I think that, at a push, we could last for a month with the food stored in our cavernous cupboards. As above. The marina has shower block complete with two washing machines and a dryer. Update 15th March 2015: Unfortunately, these days washing isn’t a problem when we’re out on the cut. Our cheap and cheerful twin tub washing machine will wash everything we have on board, including the duvet cover. The advantage it has over the usual Candy or Zanussi compact washing machines used on narrowboats is that it uses a tiny fraction of the power they do. It uses 120w on the wash and 180w on the spin cycle. Once the spin cycle has finished, we hang the washing up in the boat. It’s usually dry within twenty four hours so we don’t have to worry about having a dryer on board as well. I have a 3 dongle. I’m very happy with the service. It’s always good enough to send and receive emails, browse the internet and add/edit site content. Most of the time the signal is strong enough to allow me to stream TV programmes from BBC iPlayer. I use their Pay As You Go service which costs me ?25PCM for 7GB. Update 15th March 2015: I’m still very happy with the broadband service from Three. It’s the service which most live aboard boat owners use. The dongles are better now than they were three years ago. I used to have to tie the dongle to a four feet long mast on the boat roof and connect it to my laptop via a USB extension lead. Now I use the latest MiFi dongle which is stuck to the inside of one of my office windows with Velcro. All of our devices now connect to the internet via the dongle. I haven’t done much cruising to be honest but I love the South Oxford canal from Calcutt Boats through Banbury to Oxford where the canal meets the Thames. I love the contrast between the narrow and congested winding canal followed by an almost agoraphobic feeling when you then slip out onto the oh-so-wide Thames. Update 15th March 2015: I still haven’t seen much of the network but I think the section of the GU Leicester Line between the Watford Gap and Foxton flights takes some beating, especially when approached from the south. The Watford Gap flight is noisy to say the least. Within a stone’s throw to the east is six lanes of speeding traffic on the M1. Watford Gap service station is just a ten minute walk from the lock landing at the bottom of the flight. Similarly close to the west is the A5 and the West Coast Main Line. The constant roar is with you for the hour you need to ascend the flight, three hours if the traffic’s heavy. Within 100m of the top lock you pass under the M1 and then you leave the noise behind you for a blissful twenty six miles before the ten staircase locks of the Foxton flight. Sally and spent two weeks there last June. Even during a fine spell in early summer there were very few boats about. We particularly enjoyed mooring at Welford junction. The nearest road bridge is a mile away so it’s great for the dogs. As I mentioned earlier, mains power is currently a problem for me when I’m off the mooring. I don’t have an inverter fitted yet but will do within the next few months. Update 15th March 2015: Thankfully, the boat is now fully equipped for long term cruising. My alternator was replaced and the wiring improved so that the charge created by the alternator was actually reaching the battery bank. I asked the electrician to tell me what the alternator was producing at different engine speeds. The results astounded me. For the previous two years I had been running the engine at tick over (500rpm) to charge the battery bank. The alternator was producing a barely worth it 2amps. If I increased the engine speed to 700pm the alternator produced 20amps and at my normal laid back cruising speed of 1,500rpm, or about 3.5 miles and hours, the alternator produced 57amps. Of course, I don’t do any battery charging at tick over any more. I also have a 300w solar array to keep the battery bank topped up. Even on a winter’s day, if the sun is shining, I can get between 15-20amps from them. They were an excellent investment. All of this power needs to be stored somewhere so I now have a leisure bank of 4 x 160ah AGM batteries. As I mentioned earlier, I also have a 2.6kw Kipor suitcase generator for running the appliances that my 1.6kw Sterling pure sine inverter can’t handle. Look very carefully at the storage space offered by your potential new boat. I see many narrowboats advertised as suitable liveaboards but they wouldn’t suit me. 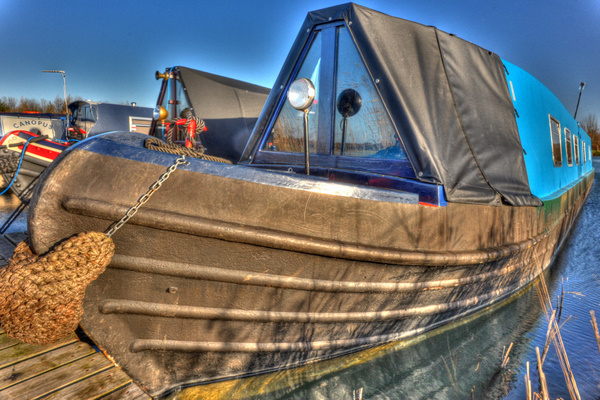 I live on my own on a 62′ trad stern narrowboat with a 47′ cabin. James has an enormous amount of storage space. There are thirty one cupboards and drawers (I’ve just counted) plus a wardrobe and all the storage space in the engine room. I don’t have much in the way of clothing or possessions but I still fill most of it. If you are planning to live on board with a significant other and/or you want to keep plenty of clothes at hand, think very carefully about how you’re going to manage. Far more importantly than that is to try before you buy. Before you commit to the largest purchase you’re ever likely to make after your house, at least try out the lifestyle first. And don’t just try it during the idyllic summer months, if you can remember what they are supposed to be like. Hire a boat in the depths of the winter and see how you get on with the wind howling and the rain lashing against the windows. Personally, I live being on the boat when the weather’s doing its worst outside, but it’s not for everyone. In June last year I started hosting discovery days on my own boat. They are a combination of helsmanship training conducted on an eight our cruise, and a walk through of my own live aboard narrowboat. I’ve spent the last half decade working at a marina alongside some very knowledgeable fitters and engineers and I’ve spoken to hundreds of live aboard boaters about the pros and cons of various bits of kit and lifestyle choices. The discovery days are great value, a fun day out and a unique opportunity to find out everything you need to know about handling and living on a narrowboat. You can find out more about my discovery days here. Hi Fletch – Sounds like you had quite an adverturous youth! In answer to your question, it isn’t so much a case of what length boat can you handle alone, as what youwant to do with your boat once you have bought it. You can handle any length boat on your own. I know many people – mainly men but a few women too – who live on and cruise with 70′ narrowboats. What you have to consider is where you want to take your boat. Not all the canals have locks that can cope with the longer narrowboats. Are you going to be mainly static on your boat or will you want to explore the whole canal network? Once you have made up your mind about this, you can then consider the length.